Beyond Blue Festuca, Festuca glauca 'Casca11', is a strikingly bright blue compact perennial grassy accent plant for edging or mass planting. Forms a clump that remains blue all season. 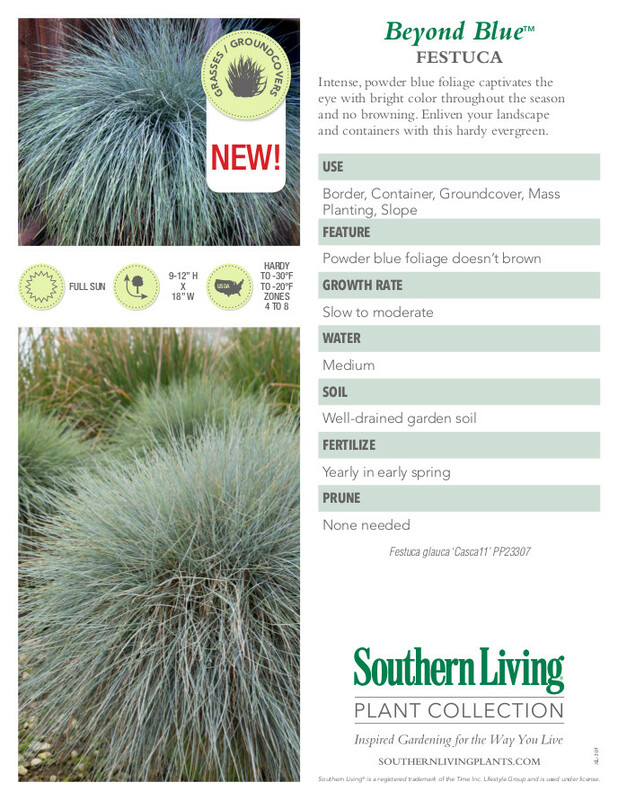 Low maintenance and drought tolerant- prefers dry to medium soil. Flowers appear in late spring and summer. Plant in well-drained soil. Cut back to 3” or 4” in the spring. Divide every 2 or 3 years to avoid the center from dying back. For best spacing plant you Beyond Blue grass 18” apart.